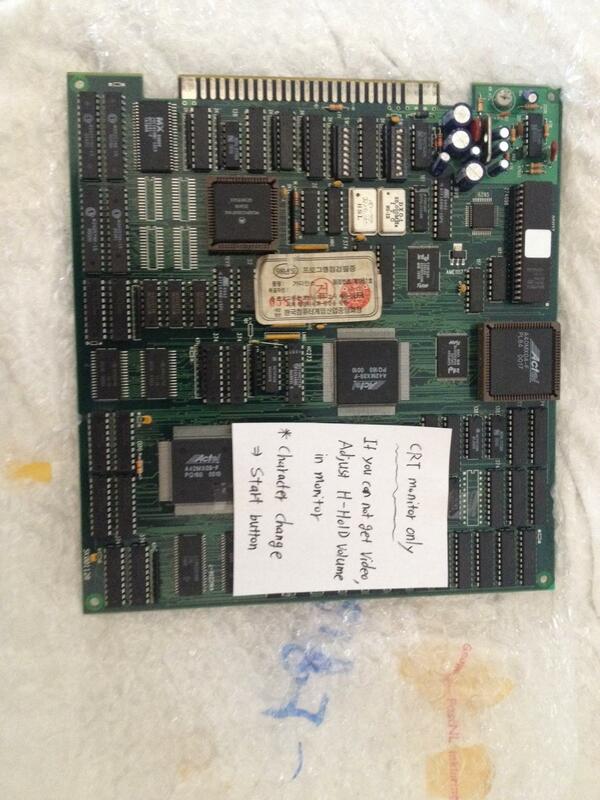 I bought this board, but it appeared to be a non-jamma board so I can't run it. So please check the photo to check what connecton it is because I personally have no clue and I can't find the ebay link again. So i'm selling it. It seems to be a special version in which you can switch character mid-game by pressing the start button. But it's CRT Monitor only! Price: For 45 USD (excl. shipping) it's yours.